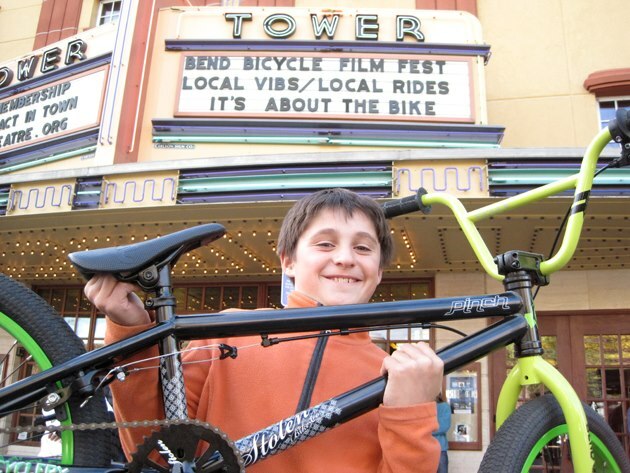 This Spring things are in full swing with events related to Bend Endurance Academy! We’re very fortunate to have such strong support from the community and rely on their generosity to keep bringing great outdoor based programs to the youth of Central Oregon. We hope to see you at some of these following events; whether you’re there to attend, participate, donate or volunteer! 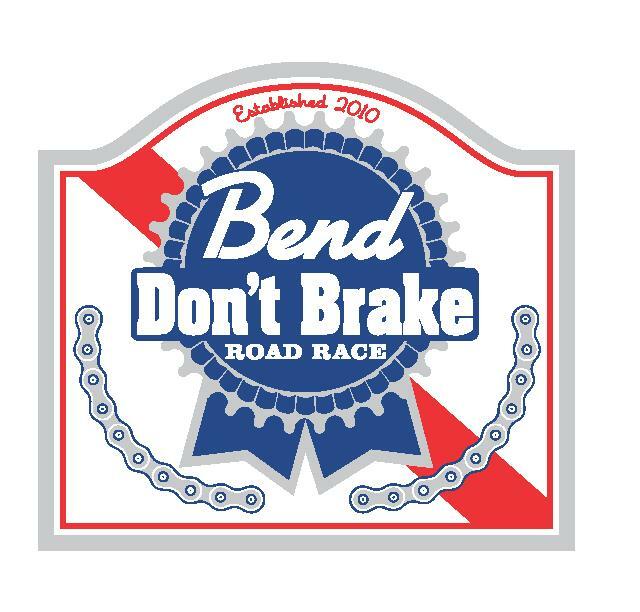 Hang out with fellow cyclists, talk bikes, sell some stuff, and raise money for developmental cycling programs in Central Oregon. Come check out the event, grab a beer, some snacks and support your local cycling community! Sales: Consignment is open to everyone, but focused on local cycling clubs, teams, and shops. • Checks will be issued within 2 weeks after the event. 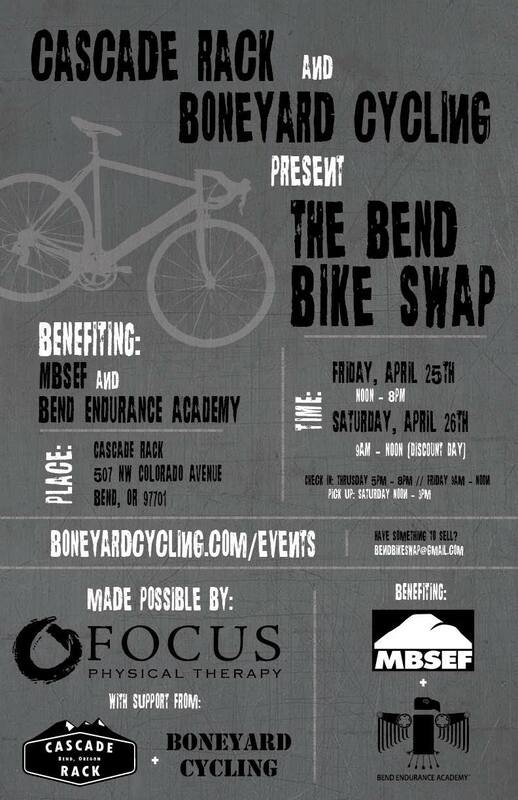 • Contact Ryan McGlone at bendbikeswap@gmail.com (253-307-2690) for more volunteer information. 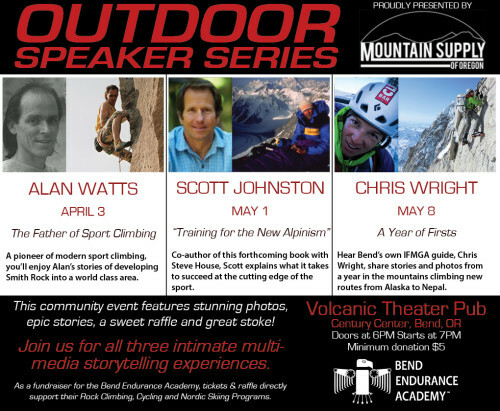 The Mountain Supply of Oregon Outdoor Speaker Series is coming this spring! 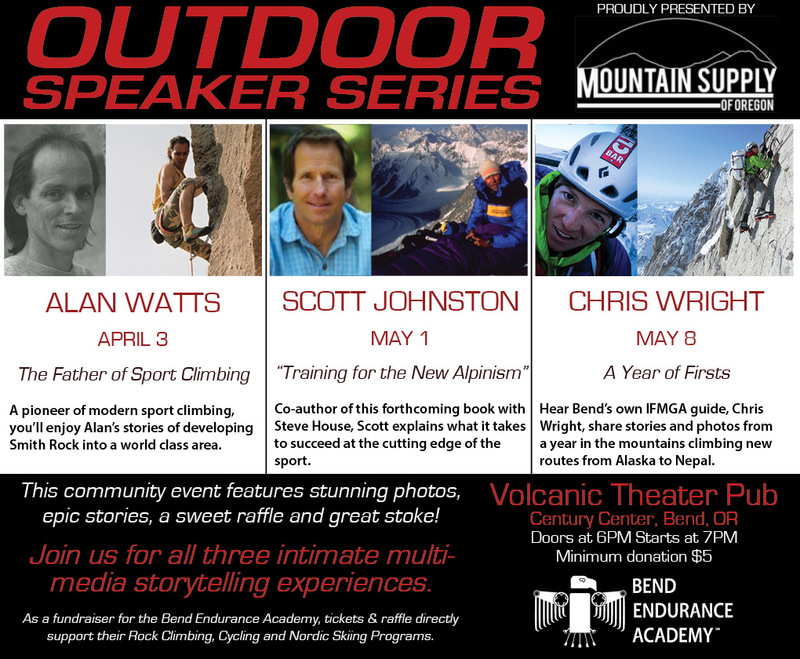 This community event will feature presenters showing multi-media presentations highlighting some of the best outdoor sports and adventure related to our community. Stunning pictures, epic stories, good times and great stoke! 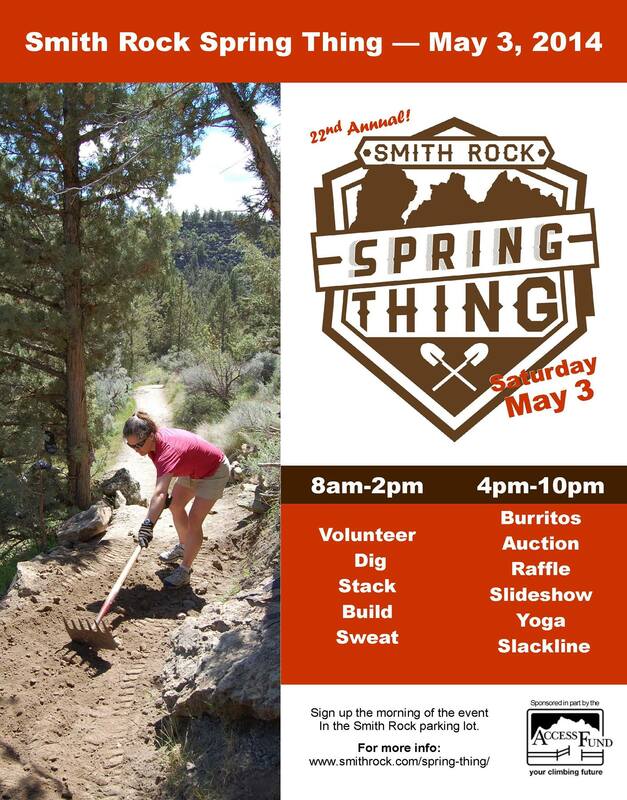 This community event will appeal to every Bendite who is active or interested in the outdoors. Presentations will be spread out over three evenings over the course of two months. The event is being held at the Volcanic Theater and Pub and is a fundraising event for Bend Endurance Academy. This is the day of the year to give back to the area that we enjoy so much. Whether you like hiking Misery Ridge, spotting eagles nesting or clipping bolts on your latest project; now is the time to give back. There will be tons of different crews to choose from and a fun dinner and slide show at the end. A local’s favorite with local vibes and local rides. Stay tuned for more info….. Registration is at the Bend Road Works (see directions and parking page) building where parking is set. YES, you can register the day of the race. Cost is $35 a person. If you need to buy and OBRA license or a One-Day OBRA license, they will be available for purchase. There is NO packet pickup. You either pre-register and bring your OBRA number OR you register the day of the race, bring your OBRA number OR get a temporary number. If you pre-reg, please just check in and let us know you are there! BRING YOUR OBRA CARD PLEASE!! OBRA numbers will be worn ON THE RIGHT AND BACK of your jersey and OBRA licenses are required. If you need to purchase an OBRA license, please do so on the OBRA REGISTRATION PAGE to save you time. Neutral wheels supplied by Rolf Prima Wheels. We also suggest you bring back-up wheels just in case! MEN CAT 1/2 – Team feed will be available. Registration is available online until 12pm on May 23th. Then registration will be $35 dollars on the day of the event. WOMEN CAT 3 – Scored SEPARATELY!!! Prized SEPARATELY! !